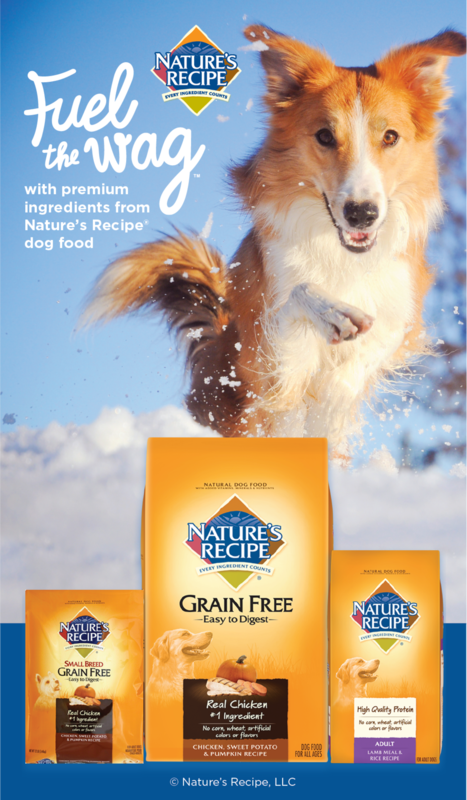 Nature's Recipe — mary g.
After the pet aisle at Meijer Grocery was restructured to command more floor space, it was easy for pet parents to become overwhelmed with the amount of options in the premium dog food category. Nature's Recipe set out to educate and incentivize shoppers in the digital space before they were "shelf-shocked" in store. 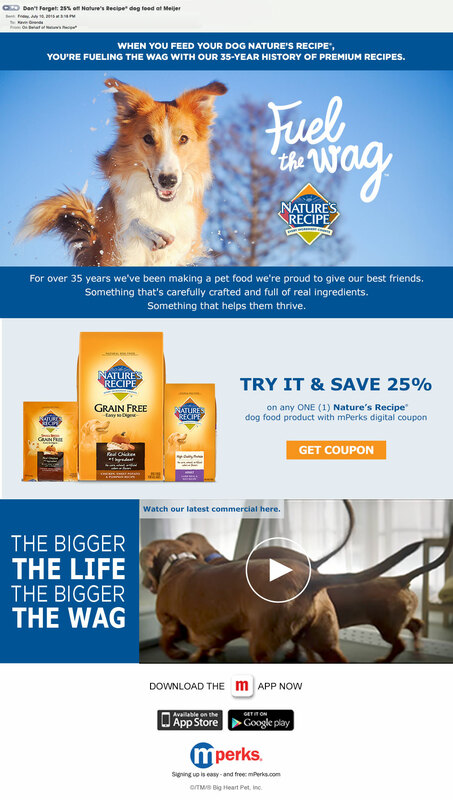 An eBlast targeted at current Meijer shoppers shares with them how Nature's Recipe has "Fueled the Wag" with a 35-year history of crafting natural, nutritious dog food. Banner Ads feature packaging to familiarize shoppers with the brand's look and portfolio while incentivizing purchase with offer. A digital circular ad on Meijer's website features Nature's Recipe grain free portfolio, keeping the brand top-of-mind during shoppers' online browsing.